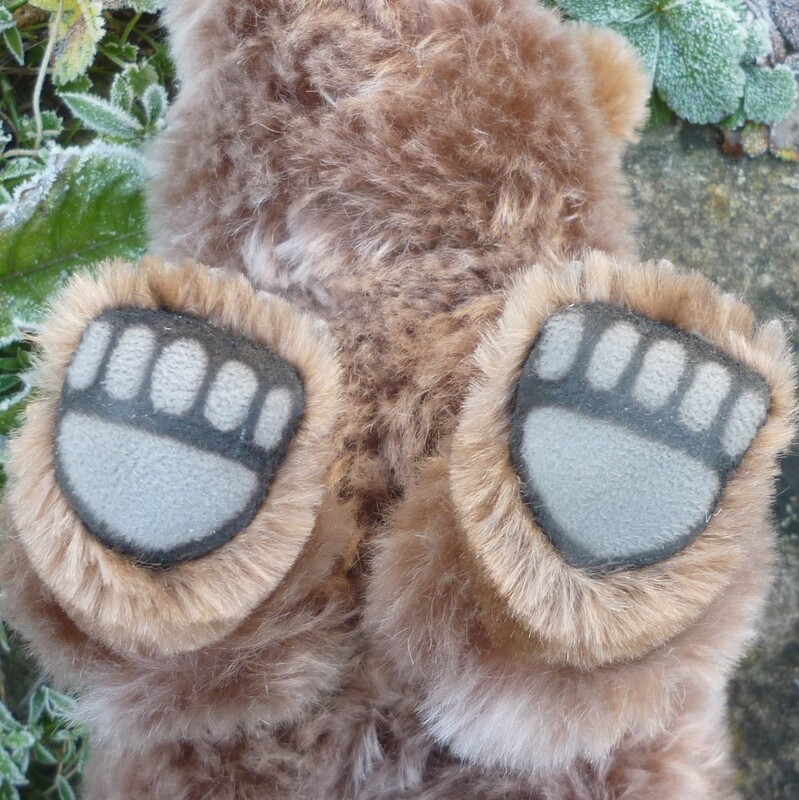 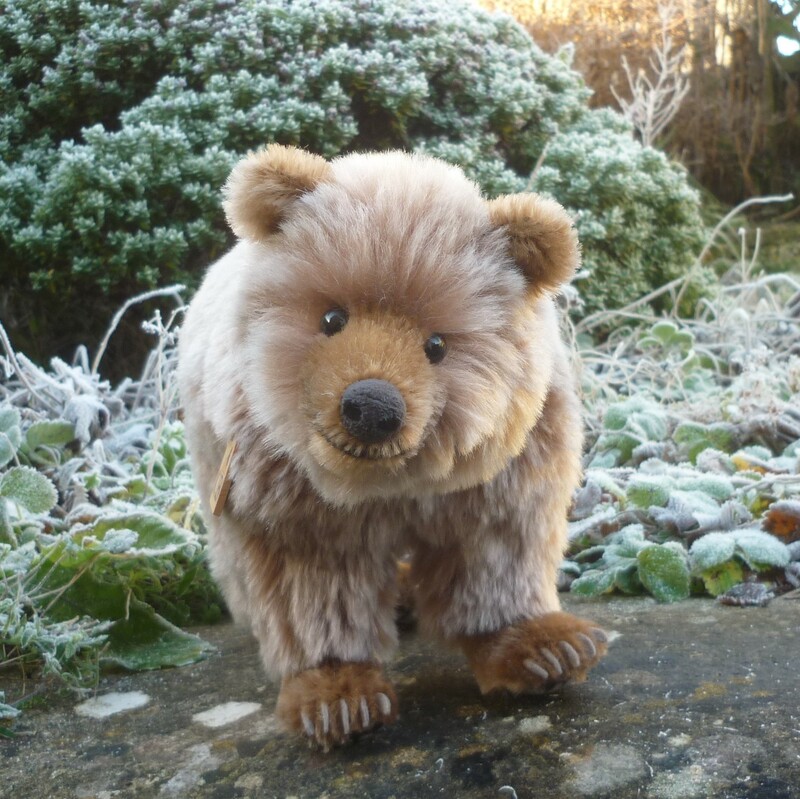 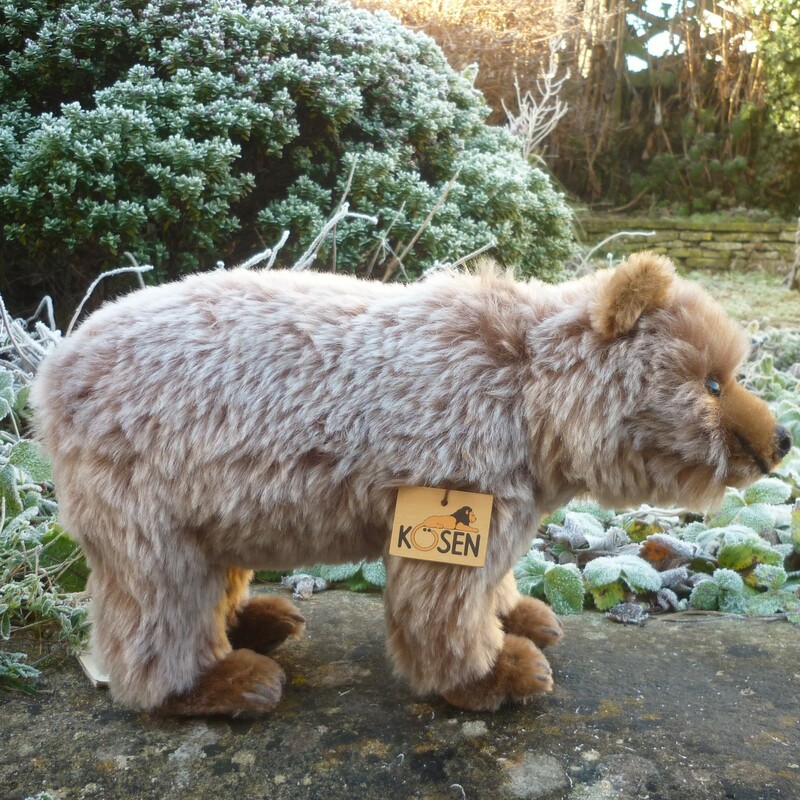 Made of pale brown plush, this friendly, limited edition Grizzly by Kosen has darker brown plush feet and ears, grey felt claws and airbrushed, detailed foot paws. 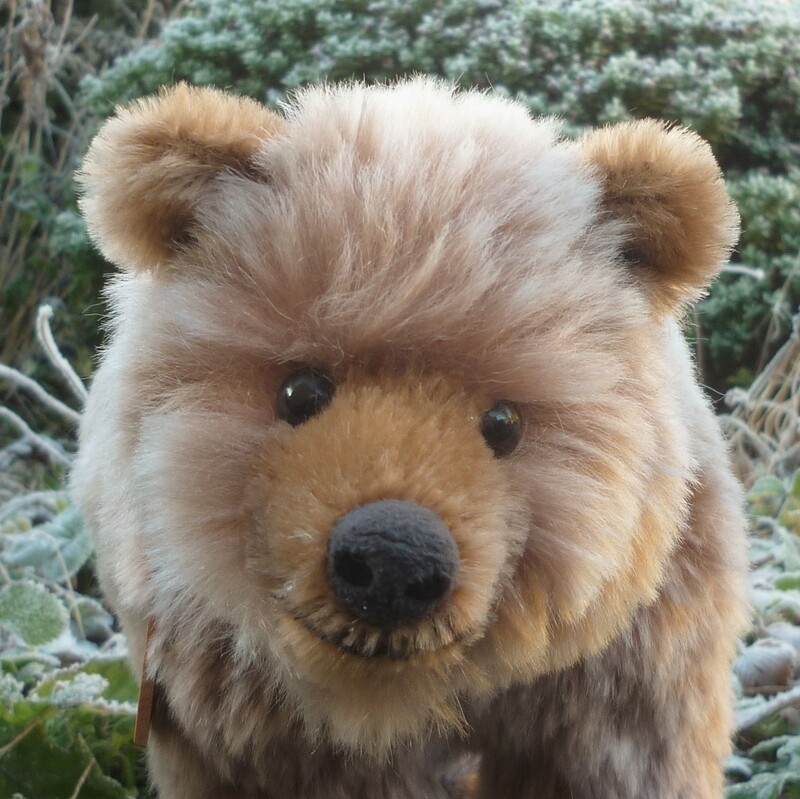 He has black eyes, a velveteen nose and airbrushed smiling mouth. 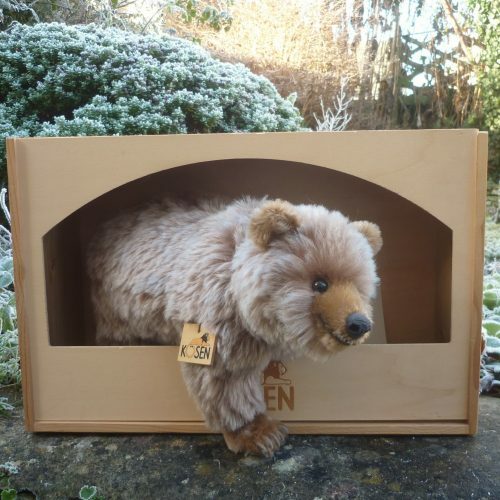 The bear comes with the wooden display box shown.